Even grown-ups like to play dress-up. We revel in the crisp fall evening filled with masks and capes. The good saints barely have time to comfort our memories; before the stroke of midnight, Christmas begins to fill the stores, and carols to fill the air. Then the King cake is hardly in the oven before Mardi Gras arrives, and the masks and costumes come out again. Who doesn’t enjoy donning a mask, with its warm childhood associations of innocence and cheer? But for a leader, it’s important sometimes to drop the mask, even though it can be frightening. Challenging. A step into the unknown. Taking the step to drop the mask and respond to a problem honestly -- not with a “that’s fine” or a “that’s nice,” but enacting what clearly needs to be done -- is what Ronald Heifetz and Martin Linsky might call a “technical” change. Technical change entails putting in place a solution to a problem for which you know the answer. The change might be difficult, but it’s known. “Adaptive” change comes in keeping the mask off -- making a change that’s not just routine but that also involves changing hearts and minds. Adaptive change can alter a whole system. Perhaps you recall the mask and cape worn by Darth Vader. 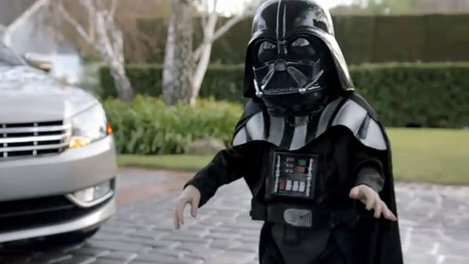 Not the original Darth, but the winsome boy in the Volkswagen ad during Super Bowl 2011. I thought of this when I read that the actor -- a 7-year-old boy named Max Page -- has undergone heart surgery to correct a congenital defect. While his surgeons prepared to do the technical work of open-heart surgery, Max did the adaptive, internal work that would change his life and the lives of those he encountered. As the surgery approached, Max focused on the possible outcomes. With the help of his mom and brother, he decided to make a “can do” list, and to “fun up” his house. He thought about life after surgery and all the things he would be able to do, as well as the things he could do beforehand to make ready, so he would be equipped to cope with the recovery. Then he re-imagined his home -- turned it into a place of intrigue and creativity -- with themed rooms, special rules and secret codes. He utilized the resources that had been preparing him for just such a time -- his most articulate, adaptive self. Perhaps that is the greatest attraction of adaptive change: the “can do” spirit of those who venture into the unknown and emerge on the other side. It’s neither “fine” nor “nice.” It is real. I have some experience with this in my own life. It was a chilly day as the nurse assisted my dad into my car. I drove him from the hospital where he was a patient to another across town for specialized testing. He was in excruciating pain. The doctors couldn’t figure out why, but Daddy and I knew that the answer could not possibly be good. For two months after that car ride, I worked nights and stayed with my dad during the day. I grew up fast. He died the Friday after Thanksgiving. The conversations we had during that time were raw, authentic -- and life has never been the same. I had no idea at first how I would keep my promise. I began by leaning into what frightened me most, by embracing a change, stepping out beyond the edge of my known world. 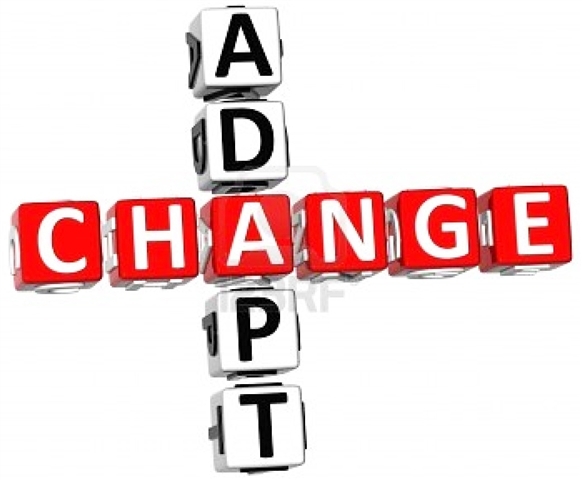 Adaptive change demands new learning. Falling down, getting up; falling down, getting up. 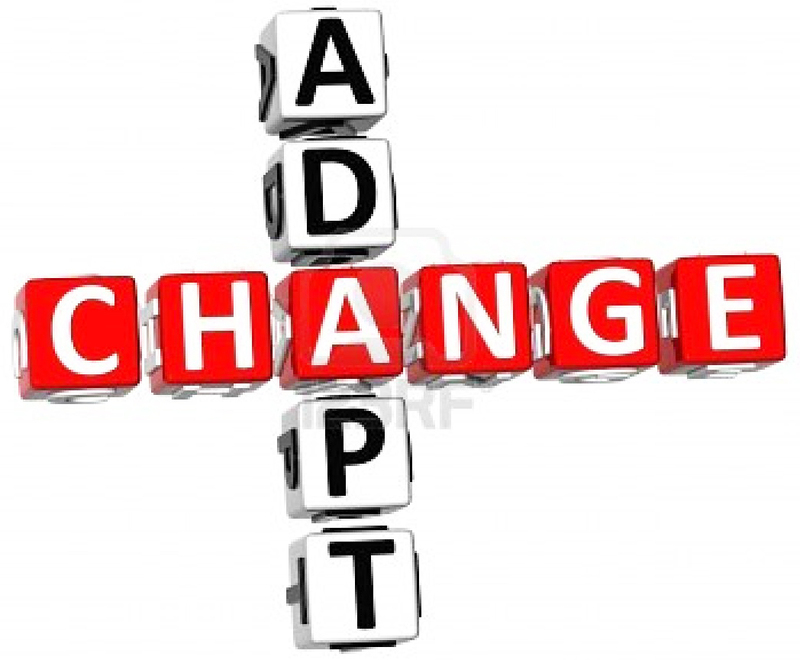 Adaptive change nearly always requires some sort of reconsideration of what we thought was so but have learned is not. Things concerning our family. Our work. And most often, our inner selves. Taking off the mask requires immense courage. It is not work for cowards, or those who refuse to lean into pain. Whether at work or at home, on the playground or on campus, transformation begins within us. Speak the truth. Have the courage to confront. Stay focused on the purpose, and do not be drawn off. Risk hostility and sabotage. Be willing to choose between what appear to be conflicting values. Adaptive change does not happen without cost. I want to be like that kid when I grow up. I want to change the world with the purpose-focused force that comes from deep within, to love and serve God as I promised my dad. No mask and cape required. *Ginger is the District Superintendent for the North District of the Central Texas Conference of The United Methodist Church.